New York, N.Y. 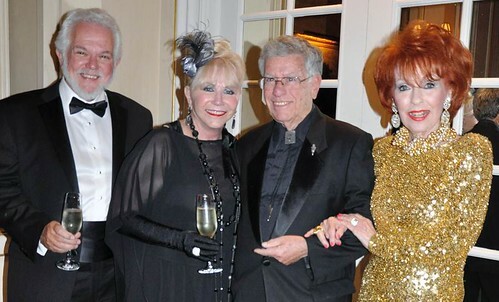 In the opulent setting of the Grand Ball Room of the Essex House, several hundred glitterati gathered to toast the leadership of David Bender and Barbara Meister Bender — and bask in the musical brilliance of 10 years of operatic talent. One decade old, the non-profit organization they founded, Career Bridges, already has a roster of successful graduates — and the evening showcased some of the most amazing talent living in New York. celebrate one decade of the organization they founded, Career Bridges. Photo: Rose Billings. Well-known graduates of Career Bridges include Jose Alvarez, Sarah Heltzell, Yonghoon Lee, Rebecca Jo Loeb and Jonathan Michie. The Tenth Anniversary Gala at the Jumeirah Essex House presented their 2012 Grant winners in concert and featured a gala dinner, silent auction, and presentation by Robert Sherman, prominent radio host. The Career Bridges’ Distinguished Award was presented to Dr. Robert Sirota, president of the Manhattan School of Music, and it Humanitarian of the Arts Award to Jacques d’Amboise, international ballet star, and founder of the National Dance Institute whose mission it is to engage children and motivate them toward excellence. 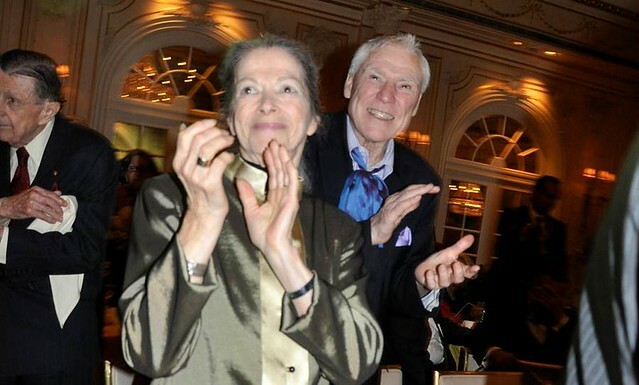 Veronica Sherman with Ballet legend Jacques d’Amboise. Photo: Rose Billings. The mission of Career Bridges is to provide innovative, practical and top-quality professional counsel, training and performance opportunities to qualified young operatic singers so that they will be ready to launch their careers. Based on the recommendations of a 20-25 member Panel of Experts, Career Bridges provides grants for coaching in voice, diction, language, repertory and stage deportment. Further grants include career guidance, performance opportunities, and assistance in career promotion. Career Bridges continues to provide mentoring, evaluating and further grants for a period of three years. 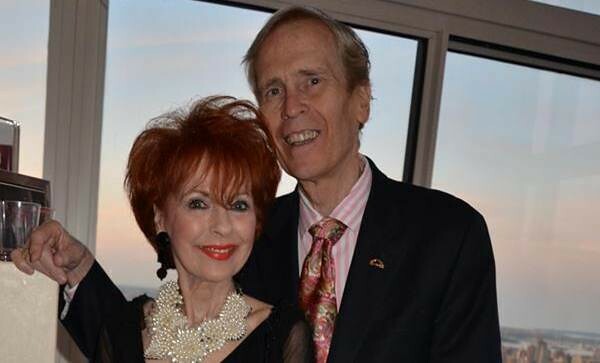 Barbara Meister Bender and David Bender, founders and co-artistic directors, Career Bridges. In 2005, they launched Career Bridges Outreach Program to schools entitled Kids Love Opera!, and sang for over 15 schools in Westchester County, reaching more than 4,000 students. The response was overwhelmingly positive. With their performances, they fulfilled three functions: giving performance opportunities and income to their grant winners, introducing the world of opera to children who have for the most part never heard classical music before, and creating a new audience for opera. 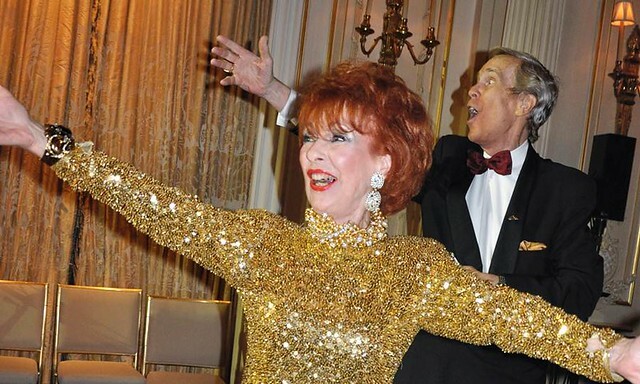 Roberta Peters and Marni Nixon attended the Essex House Grand Ballroom soirée for Career Bridges. 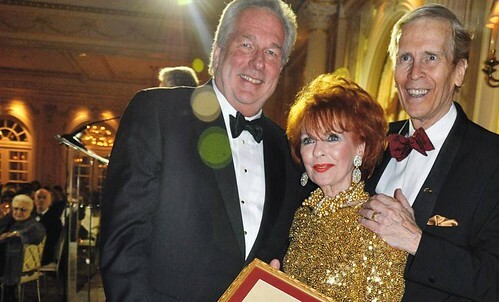 Lifetime Achievement Awards were presented to Metropolitan Opera stars Roberta Peters, James Morris, and Patrice Munsel. 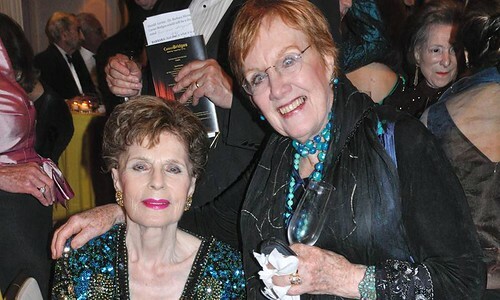 Prominent musical guests included the inimitable Marilyn Horne, Met stars Elinor Ross, Ashley Putnam, and Jane Shaulis. The concert was highlighted by a musical finale, The Septet from Tales of Hoffman, featuring all the organization’s singers, as well as timpani and trumpets, all under the direction and accompaniment of musical director Ted Taylor. The singers were rewarded for their efforts by an extremely enthusiastic and grateful audience. 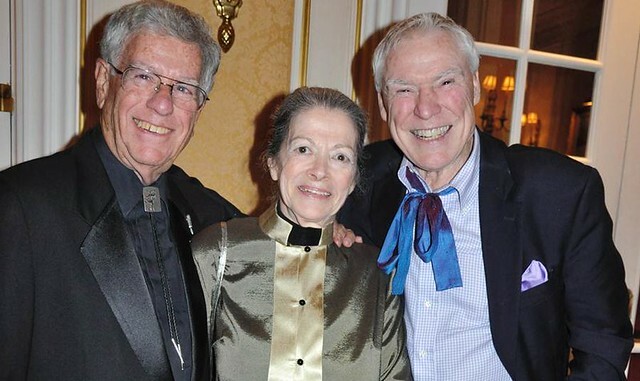 Robert and Veronica Sherman with Jacques d’Amboise. Photo: Rose Billings. Young musicians are facing a daunting climb up the career ladder. The talent level may be extraordinary, as certainly displayed tonight, but these budding artists have to invest years of study, endless practice hours, and — in the case of vocalists — extensive language preparation, all before entering a highly competitive field and facing an often frustratingly unclear future.Organizations like Career Bridges are essential in helping these gifted singers make the hazardous transition from conservatory graduates to important figures in the real world of opera and concert performance. It’s not just a matter of having a competition and giving out some cash prizes, helpful as those may be. Career Bridges also mentors their selected singers, offering coaching sessions and other career advice, finding opera and oratorio opportunities for them, and taking them to schools, where these artists of the future can plant the seeds of music into the audiences of the future. Without exposure to great art, kids will never know what they’re missing. With proper introductions, at least some of them will become music lovers, and in so doing, find their lives enormously enriched. 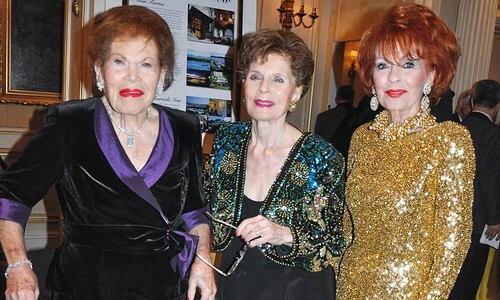 Barbara Meister Bender with her friends Marnie Nixon and Midge Woolsey. Photo: Rose Billings. The importance of such organizations is becoming more important, as globally we are faced with ongoing cut backs for the Arts.To mentor such young talent is vital for young musicians: many reach a high level of performance and it is following the post graduate studies that these young men and women need focused professional support to include networking opportunity and global performance opportunity. Career Bridges provides this wonderful support together with a true sense of family. The Gala event exemplified high level talent, camaraderie and a blending of inspired musical programming. 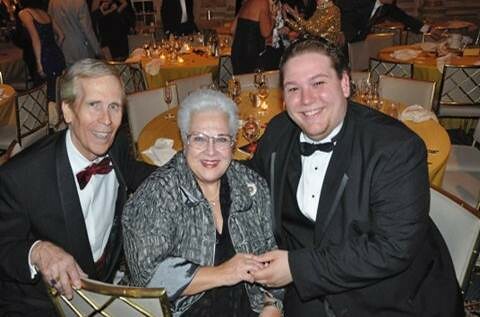 David Bender and the incredible Marilyn Horne with promising young grant winner Justin Gonzalez. Culture helps us to understand our past. When we think of culture we think of the arts and how the arts have influenced our lives. Arts and culture are intertwined; art is a part of every aspect of our culture and helps to define and shape us.Music makes us feel alive and is a part of our human experience. Music can express things that words cannot. Great performances move us emotionally and can transport us back to a specific moment in time. Music can make us cry, remind us of an unforgettable event or something we love. Barbara Meister Bender. Photo: Rose Billings. My Dad and Mom started Career Bridges 10 years ago pursuing my Dad’s dream of making a difference in young singers’ lives. At the time I was also starting a new business and we both shared a vision and passion for our dreams. The topic would often come up on the dinner table where I tried to understand why it was important or how it would work.Tonight a young singer came up to me and said your Dad has changed my life and made an indelible mark on my life and what I can achieve. That summed it up for me. Every year I get the chance to hear new budding stars that without Career Bridges might not have achieved their dreams. My Dad and Mom are important because they eat and breathe passion in all that they do, they raise the bar, and they teach their young singers to have fire in their bellies, patience in their careers, for them to find the right coaches and to be something extraordinary. A star on and off the stage. 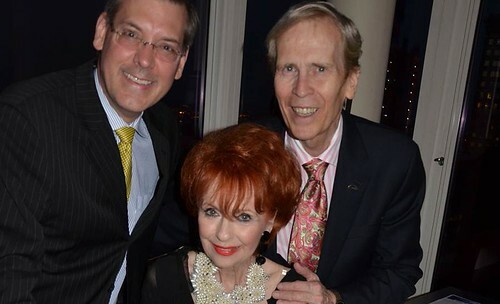 Met opera Star James Morris with Barbara and David Bender. Photo: Rose Billings. Founders David Bender and Barbara Meister Bender are richly accomplished. Drawing on their extensive performing experience, the benders have designed, planned, organized and given over 40 master classes in singing, diction, presentational skills, and stagecraft throughout Europe, Canada, and the United States. 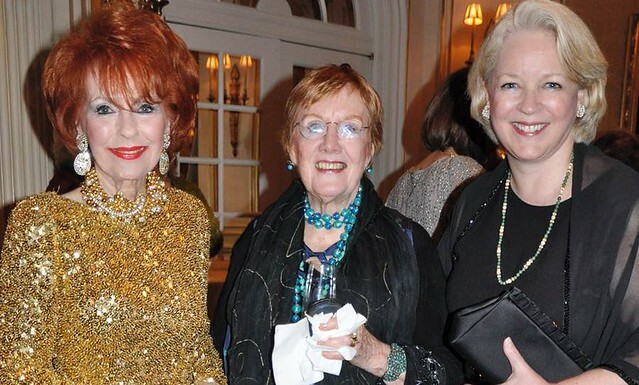 Supporters Elinor Ross and Roberta Peters with founder Barbara Meister Bender. Photo: Rose Billings. David Bender, founder and co-artistic director, has sung leading tenor roles with the New York City Opera, the San Francisco Opera and the Seattle Opera Company, as well as having performed leading operatic roles in Germany for over 10 years. He has had a distinguished career in Oratorio singing, with compositions written for him as tenor soloist by Roy Harris, Richard Yardumian, Gian Carlo Menotti and Paul Allen Levi. David is a graduate of Columbia University former Professor of Voice at New York University and at the Conservatory of Music in Vienna. Barbara Meister has interpreted countless leading roles in opera as well as musical theater. She has performed for companies in Los Angeles, Denver and at Kennedy Center in Washington. She began her career at the Metropolitan Opera Studio, and sang leading roles at the New York City Opera. She was brought to Broadway following her discovery by Richard Rodgers, an event which led to her appearance on Broadway as Maria in The Sound of Music. She has sung with the Los Angeles Civic Light Opera, and in Wolf Trap and Chautauqua. She has starred on European television with appearances in Switzerland, Austria, and Germany. Gala concerts with orchestras in Vienna, Munich and Berlin have brought international recognition to this dynamic performer. Poverty, sickness, and violence represent humanity at its worst. We must each, individually and collectively, address such societal problems. In dedicating my life to helping uplift humanity, I have come to realize that in order to appreciate what we as people are capable of, we must be grounded in humanity at its best. Barbara Meister Bender and David Bender, through the first decade of Career Bridges, are helping do exactly that. I tip my hat to the Benders and their efforts to remind us what greatness we as human being are capable of. We cannot accept less. Originally published in The Huffington Post, July 17, 2012. Originally published in The Huffington Post, July 18, 2012.